This entry was posted in New pages and tagged bicycle, chain, chainwheel, maintenance, roller, shelbroco, Sheldon, Sheldon Brown, sheldonbrown, sheldonbrown.com, sprocket, teeth, tooth. Bookmark the permalink. 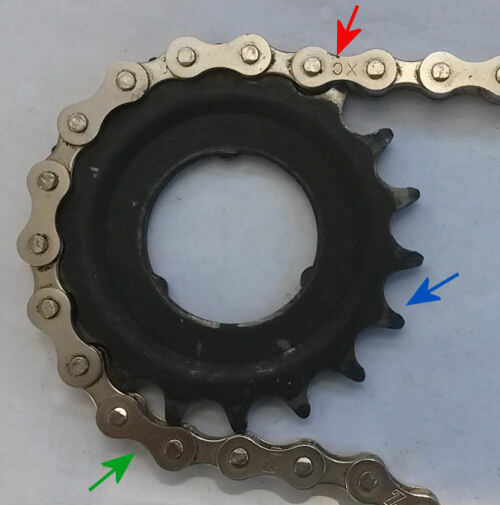 My two cents on chain lube: hot waxing with wax toilet ring seals. A soft, low temp, almost greasy wax available at home centers. Doesn’t seem to clean off with citrus cleaner, but paint thinner works, and WD40 really works. Ha! That’s priceless. Having recently reinstalled the toilet at my house…Oops, what I had left over was the USED toilet ring seal wax that I scraped off the floor. Should have bought an extra! Next time I’m at Home Despot I’ll have to buy another ring and give this a try — John Allen.